Entrepreneur Timo Korhonen, Managing Director of Oy Sisu Auto Ab since 2010, acquired the sole ownership of Sisu Auto in 2013. Reasoning for his commitment decision was based on the strong trust in the future of the Finnish vehicle industry, as well as in his will to advance excellence of domestic product development, production, and the wide network of related sub-supply chain, and business growth through exports. Under leadership of Mr. Korhonen Sisu Auto took a new path to the future by widening company’s portfolio from the traditional truck and military vehicle businesses to special vehicles for export market, as well as to R&D services for the vehicle industry in the evolving new markets. The ongoing development program of Sisu Auto has required vast investments especially to R&D, and to business development in general. Notable investments include the start of co-operation with the World’s leading manufacturer of commercial vehicles, Daimler AG, and the development of the totally new SISU Polar series of vehicles, widely utilizing Mercedes-Benz components sourced from Daimler, says Timo Korhonen. Increasing market demand thanks to good quality of SISU truck products, and respectively raised production rate, increase challenge of the task. In spite of changes that have been continuously ongoing, the consolidated business result of the current decade has been kept positive. 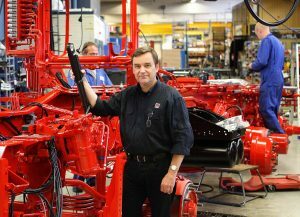 A special acknowledgement goes to, in addition to our loyal customers, to the committed and motivated personnel of Sisu Auto: Bringing SISU back on its feet has been the common goal for the personnel, and for the loyal customers that have trusted SISU truck products through the decades, Mr. Korhonen continues. 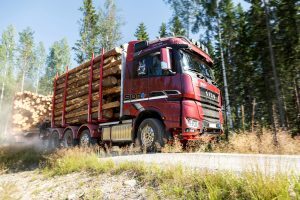 Well organised and persistent work for strengthening the domestic market share has resulted in good position in the segment of most demanding tasks, such as gravel transport, road maintenance and timber transport. 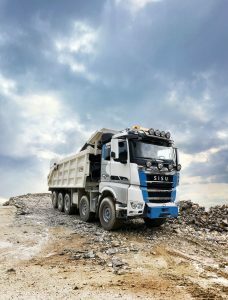 The remarkable R&D investment to SISU Polar series has produced, for example, the world’s first parallel diesel-electric hybrid system for a heavy-duty truck. Another result of our R&D is the economical and strong reputation of our products, which has enabled the increase in our market share. We have now reached a stage in which every second of our new deals comes from users of competing brands. A fact that creates a good basis for future growth, too, states Sales Manager Ville Kaihu, who is responsible for the domestic sales. The changed security situation in Europe and related re-evaluation of battle plans in various countries have caused increasing demand of Armoured Military Vehicles. In response, Oy Sisu Auto Ab has focused in development of new products answering to the evolving customer requirements. 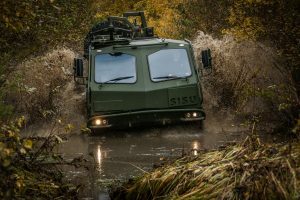 Especially tough SISU Polar Super series which is intended for transporting heavy payloads on hard surfaces, and respective ETI series intended for off-road environment, have exceeded the expectations in connection with the first Customer cases, boosting the further marketing and sales activities of these product ranges. The SISU’s diesel-electric Hybrid powerline will come to these Special Vehicles in near future as a further developed, fully electric variant, reveals Sisu Auto’s Design Manager, Olli Leinonen. SISU Engineering, the R&D services business of Sisu Auto, has already completed several delivery projects, e.g. to Chinese vehicle manufacturers JAC and BAIC. Ongoing expansion of the SISU Engineering business, as well as strengthening of co-operation with the existing Customers, and earning the trust of new Customers, are part of Sisu Auto’s long term plan, aiming to establish the R&D services business as an integral part of Sisu Auto’s business operations. Timo Korhonen has steered the company to growth path, founded on the established market position in domestic market. From now on Korhonen shall, as the Group Managing Director and Chairman of the Board, concentrate on the next phase of the company’s long-term plan, in expanding the export business. M.Sc Petri Kananen, who has been responsible for the SISU Polar business since 2017, has been nominated as the new Managing Director of Oy Sisu Auto Ab from 16.4.2019 onwards. Mr. Kananen’s new task is to be in charge of the operative management of the company, to develop the business further, and together with the group management to launch the strategic expansion campaign towards export market. Our co-operation for several years in managing the company has convinced me of Petri’s capabilities and persistence. Therefore, I believe that Sisu Auto has great changes to continue to develop further under his management. We shall co-operate closely in future in order to rapidly boost company’s export business, Mr. Korhonen finishes. It is a honour to become a leader of such a famous and important company, and to engage in writing the company’s future. I have had a chance to be part of the company, it’s development and growth, and related challenges almost through the whole 2010’s. Continuation of this positive development, and the progress of our company, as well as of the whole domestic vehicle industry, is an obligation for which I will do all I can, says Petri Kananen. Export business and the consequent growth shall be a great challenge which shall require a lot also from our Partners, Suppliers, Personnel, Management and Board of the company. Implementing the changes at the same time managing and developing the already established market position shall be our key tasks, Mr. Kananen states. At first in 2011, Petri Kananen did his thesis with Sisu Auto, and thereafter has worked in various positions in the company. He has been a designer in the R&D office, a SISU Polar product manager, a sales manager, and since autumn 2017 the SISU Polar business director. 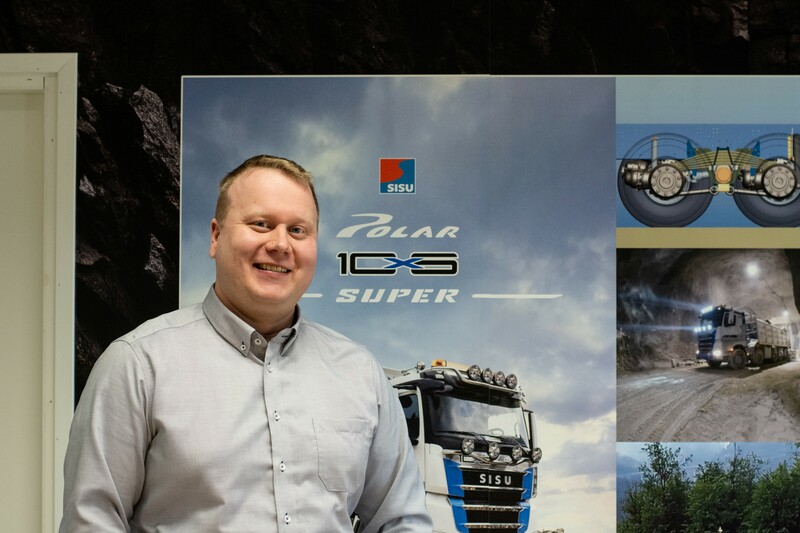 Through the time of SISU Polar series, in addition to development and advancing of the products, as well as the work related to establishing the market position, Mr. Kananen has had a significant role in development and marketing of the SISU Polar Super series of vehicles. Thereby, he has got a diverse and focused insight of the market position of our products, together with a strong view of the company’s direction to the future. This entry was posted in front_page_news, news, Yleinen on 15.4.2019 by Rasmus Rokka.